Kick off Halloween and the month of October at the Louisville Zoo's "World's Largest Halloween Party" presented by Meijer! The event will be held a total of 18 nights in the month of October, every Thursday thru Sunday from Oct 1st to 30th. 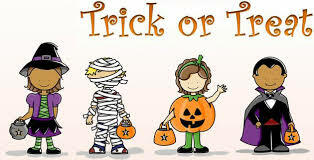 This is a fantastic event where children can dress up as their favorite character and safely trick-or-treat at the zoo. Viewing the animals is a bonus during this event! Tickets must be purchased in advance. Prices vary depending on the weekend, and whether or not you are a zoo member. Zoo members only pay $1 per person on Oct 1-2, 6-9, and 13-16! Please visit the zoo's website for additional details and pricing. All patrons must pay the $5 parking fee (cash only). Rain or shine, the event begins at 5pm and guests may arrive during the one hour window of their selected time printed on their ticket. The last group enters at 8:30pm, and the zoo remains open until 10:30pm. The Louisville Zoo is conveniently located in the Highlands at 1100 Trevillian Way, between Newburg Road and Poplar Level Road. The Louisville Highlands is a very desirable area of town, for many reasons. The main artery is Bardstown Road, which boasts plenty of local shops and restaurants that attract people of all ages. Cherokee Park and Seneca Park, as well as other parks, are focal points for outdoor activies, from golf to walking, running, hiking, and biking. There is a great balance of coffee shops, farmers markets, and nightlife all to be had in this one area of town. Visit the Family Realty website to search for your new home in the Highlands today!